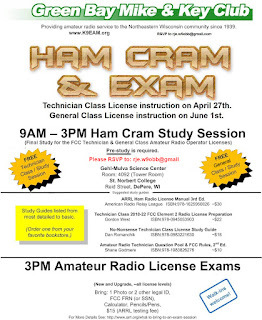 One for a Technician Class License instruction on April 27th and a General Class License instruction on June 1st. 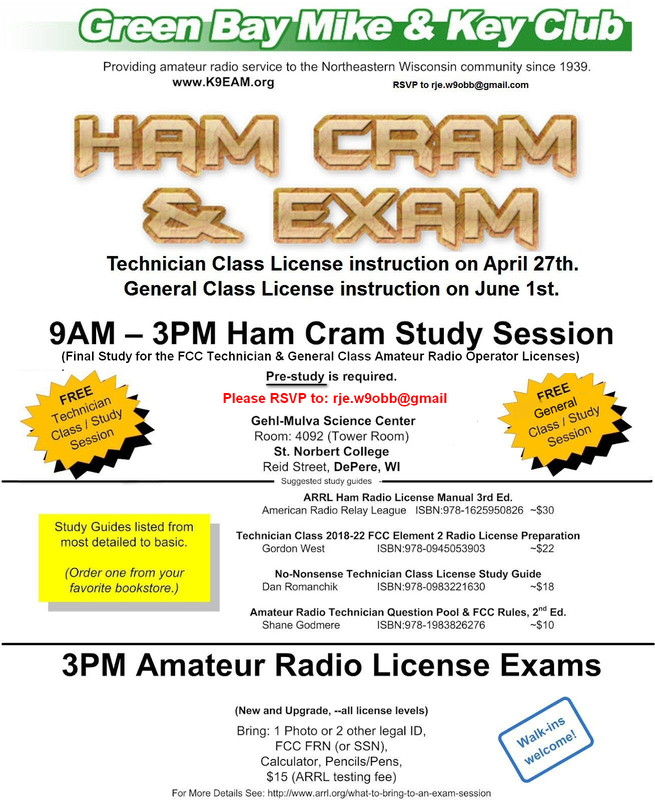 As always, the classes will run from 9 AM to 3 PM with testing immediately following at 3. 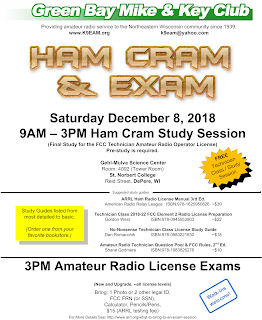 Testing will include all three levels of licenses. 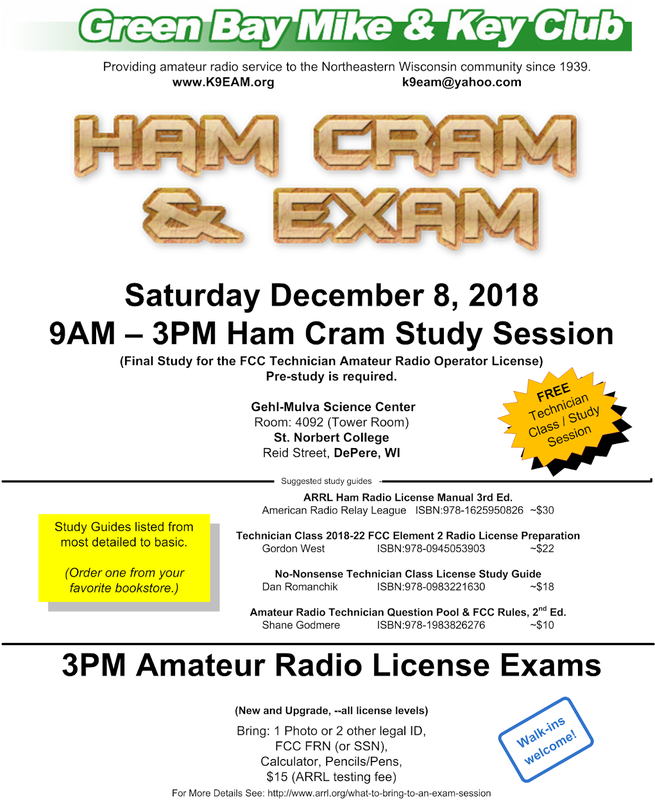 Ham Cram - Ham Radio Class/Testing Dec 8th.